Preheat oven to 200 C. Sift flour,mixed spice, baking powder and sugar into a bowl. Lightly whisk egg and combine with butter and milk. Pour liquid and feijoa pulp into dry ingredients and mix very gently just to combine. 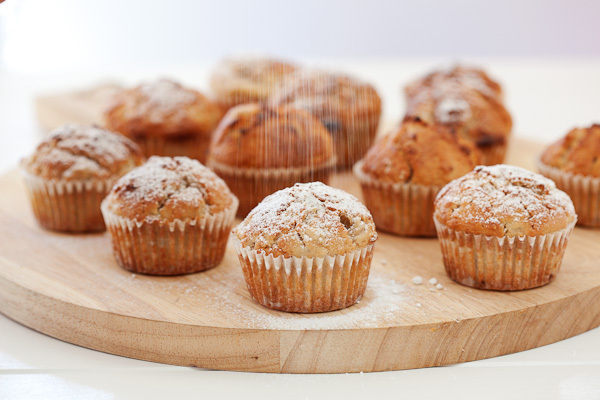 Spoon into greased muffin tins and bake for 10-15 minutes until muffins spring back when gently pressed. Yummo! I used wholemeal flour and maple syrup instead of sugar and they turned out a treat! Kids love them.